We have carefully selected the following organised group tours from the world's leading adventure travel companies to offer you the best experience of travelling to Russia. For convenience, we have organised these into country-wide tours and (where available) regional tours, trekking itineraries and multi-country overland tours incorporating Russia. For further details and to book your tour, click "details & booking" to visit the tour company website. Wild Frontiers have been running trips to the Caucasus since 2004 and it is one of our favourite parts of the world, offering a wilder side to Europe with its striking scenery, proud history and unique culture.Our adventures have previously remained within the South Caucasus - namely Georgia and Azerbaijan - but we are now proud to be able to offer the chance to explore the remote villages and mountains of the North Caucasus; those once inaccessible republics of the Russian Federation. While it is true that the names of some of these republics - Chechnya, Dagestan and Ingushetia in particular - have in recent years been more closely associated with conflict rather than tourism, the winds of change finally seem to be blowing through the region, making it now viable for those with an adventurous spirit to come and discover the authentic charm of these lands for themselves.On this epic journey of discovery, travelling from the Black Sea to the Caspian Sea, we'll pass Europe's highest mountain Mt. Elbrus (5642m), discover UNESCO World Heritage sites in Dagestan, marvel at the medieval defence towers of Ingushetia and meet with the region's incredibly hospitable inhabitants who maintain their struggle to keep their ancient traditions alive amidst a rapidly changing world. This fascinating hidden world, where the very concept of tourism is still very much in its nascent stages, is just waiting to be discovered by those intrepid enough for the challenge. This is the perfect trip to introduce you to the legendary cities of the old Soviet Union. You'll visit 5 fascinating countries and stay in 6 historic cities. Whilst in the Baltics you'll have the chance to marvel at Tallinn's Old Town, Riga's Freedom Monument and Vilnius University. In Minsk you can stroll down Independence Avenue. Then in Moscow you'll ride the metro to the Red Square and visit the Hermitage in St. Petersburg and Catherine's Palace at Pushkin. This trip is a must for anyone looking to soak up the history and culture of Eastern Europe. We begin this tour in the megacity Moscow and travel by train to discover Russia's 'Golden Ring': the historic cities of Sergiev Posad, Vladimir and Suzdal. We also explore the Red Square and Kremlin in Moscow and visit the majestic Hermitage Museum in St Petersburg. On this short tour we explore in-depth Russia's two most important cities. In Moscow we visit the Kremlin, the 16th century St Basil's Cathedral and Lenin's embalmed body in its Red Square mausoleum. Later we discover the contrasting architecture of St Petersburg, whose vast and flamboyant palaces were once home to the Tsars. In the space of one year, 1917, Russia was ruled by three different governments. St Petersburg was Russia’s most opulent city and the home to its royal family. It is here that the February Revolution began, with riots over chronic food shortages; from here that the unelected Provisional Government ruled for eight months; and here that the ruthless Vladimir Lenin arrived just weeks later, to strengthen and lead the Bolsheviks into the military takeover that culminated with the October Revolution. On our new, fascinating tour, appreciate Russia’s greatest cities a century on - St Petersburg, the gilded backdrop for these momentous events, and Moscow, the grand new Bolshevik capital. 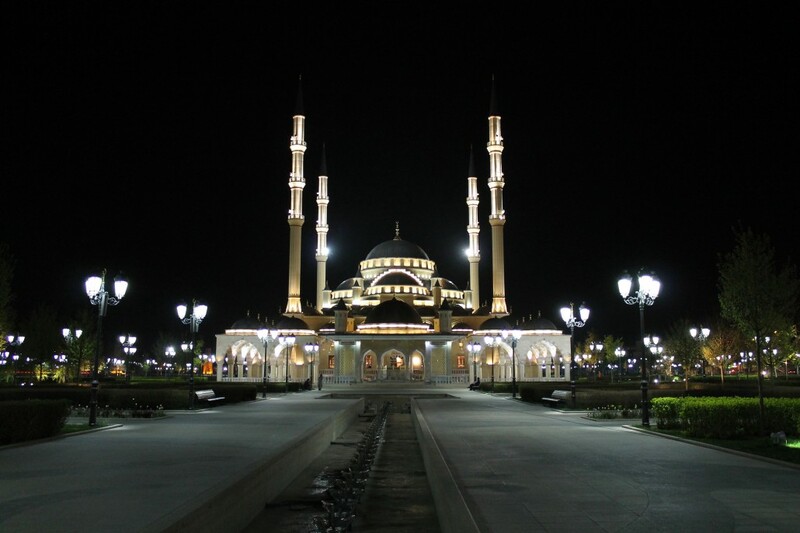 Chechnya, Grozny and Dagestan are names synonymous with the destruction and terror that followed their attempted breakaway from the Russia motherland following the break up of the soviet union. Yet the Caucasus is a place of great natural beauty with fascinating cultures set in the shadow of the mountains that mark the border between Europe and Asia. This trip offers a view into an region that remains almost unexplored by western visitors.�We will visit four of Russia's least visited republics to get an insight in to life in Russia's restless underbelly. Starting in Vladikavkaz, North Ossetia's fading yet elegant capital, we'll travel to Beslan and the sobering memorials to the Beslan school massacre before passing through Ingushetia to Chechnya. There we will have time to see how the world's most destroyed city has been rebuilt into a gleaming capital complete with visible personality cult to the new Chechen leader Ramzan Kadyrov. A truer insight into traditional Chechen life will be found in nearby Itum Kale where some of the regions best preserved traditional watch towers still are found. From there we'll pass through turbulent Dagestan staying in Makhachkala before heading down to the UNESCO world heritage town of Derbent. Derbent means �closed gate� in Persian and the town boasts the world's only surviving Sassanid fortress which used to be part of a 40km stretch of wall that kept the Persian empire safe from the barbarians to the north. A truly ground breaking trip into a much misunderstood region. Moscow and St Petersburg vie for cultural supremacy in Russia, both presenting enthralling, spectacular and iconic sights to the traveller. This wonderful two-centre holiday includes the best of these imperial treasure-houses with plenty of expertly guided visits - to Moscow’s Red Square, Kremlin and colourful St Basil’s Cathedral, St Petersburg’s renowned Hermitage Museum and opulent Peterhof Palace amongst them. Look out for travel companies using the uncomfortable overnight train between the two cities; we offer the new, high speed Sapsan train that whisks you from Moscow to St Petersburg in a little over four hours. Moscow and St Petersburg vie for cultural supremacy in Russia, both presenting enthralling, spectacular and iconic highlights. This wonderful two-centre holiday combines the best of these imperial treasure-houses, with departures in January and February, allowing you to truly experience their winter beauty. Red Square, the Kremlin and colourful St Basil’s Cathedral, are cosmopolitan Moscow’s unmissable sights and, after travelling by high-speed Sapsan train to St Petersburg, you will see the renowned Hermitage Museum and the Baroque Catherine Palace in their winter finery, with an included ride in a traditional Russian troika through the grounds of the latter, to enhance your Russian winter discovery. On this short break we explore the little known Russian exclave of Kaliningrad. From Gdansk we will travel to Kaliningrad city before heading out to learn more about amber mining in the beautiful Baltic coastal resort of Svetlogorsk. A full day in the UNESCO World Heritage Site of the Curonian Spit National Park is our last excursion within the Russian borders before we return to Gdansk via the largest castle in the world, Malbork. * Prices are either exclusive of international flights or inclusive of flights from and to the UK as stated. Prices may vary depending on the specific departure date. Some tours may include an additional local payment to be paid in cash (USD or EURO) to the tour leader at the beginning of the tour. Please refer to the tour website for details.